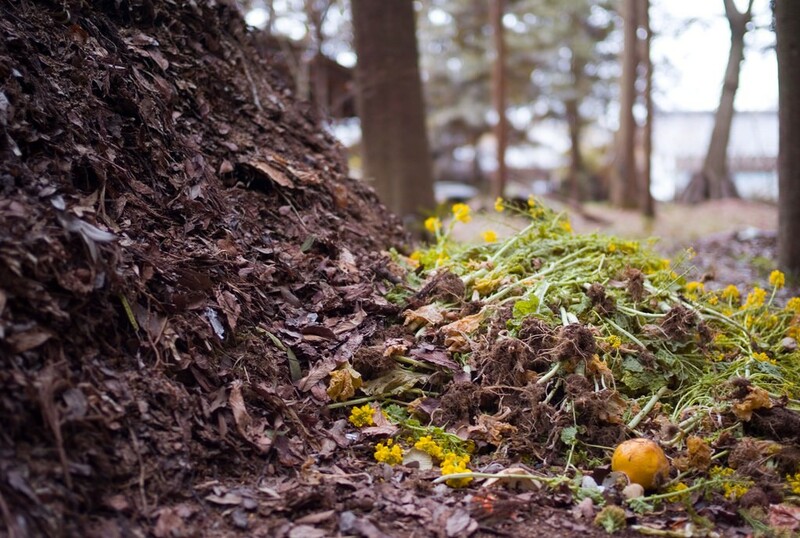 Food composting is familiar for many in Washington, where human composting could soon become an after-death option. A bill that would make Washington the first state in the country to allow human composting has passed its first major hurdle in the Legislature. Senators passed SB 5001 by a vote of 36 to 11 (two excused), with area Sens. Andy Billig (D-Spokane) and Mark Schoesler (R-Ritzville) approving the measure and Sens. Mike Padden (R-Spokane Valley) and Jeff Holy (R-Cheney) opposing it. "I will make the claim that this bill may change the world," said the bill's main sponsor, Sen. Jamie Pedersen (D-Seattle), on the Senate floor Feb. 6. "What I think is remarkable is that this universal human experience of death remains almost untouched by technology, and in fact, the only two methods for disposition of human remains that are authorized in our statutes are methods that have been with us for thousands of years: Burying a body or burning a body." The bill would change that by adding the option to naturally turn a body into soil with the help of other organic materials. Proponents initially referred to that process as "recomposition," but that has since been amended in the bill to the term "natural organic reduction." The process was studied by Washington State University researchers, who found that pathogens and contaminants were all eliminated or kept below safety thresholds set by environmental agencies. The legislation would also add Washington to a growing list of states that allow water cremation, also known as alkaline hydrolysis. That process involves dissolving a body with a water-lye mixture and heat, resulting in bones that can be crushed and provided as "ashes" to kin in much the same way as fire cremation. Both options have been lauded as more environmentally-friendly solutions. During the floor discussion of the bill Feb. 6, Padden asked fellow lawmakers to require a study of how the wastewater from the alkaline hydrolysis process might impact city sewer systems, but that amendment failed to gather enough support. "That lye can work its way into our municipal water systems," Padden said, asking for the amendment. "I just think that is very significant and there ought to be a study by the Department of Health to determine the environmental impact on our municipal water systems from this process." Pedersen said he was grateful for attempts to strengthen the bill, but pointed to the process' use in more than a dozen other states already, and the fact that it's already used in Washington for pets, as a sign that it's already been proven to be safe. "There have been extensive studies of the effluent and its effect on water systems," Pedersen said. "In any case I don't think we need to reinvent the wheel for technology that, though relatively fresh to us, has been around since the late 19th century." Sen. Jamie Pedersen discusses Senate Bill 5001, which would legalize two more after death options in Washington state. The wastewater produced during that process is sterile and basic on the pH scale. Spokane County has limits on discharging wastewater with a pH higher than 11, which is about as basic as an ammonia solution, but much less basic than, say, drain cleaner at a pH of 14. If the resulting liquid were to fall outside of that limit, county code would require funeral home directors using the process to obtain permission via a permitting process. But that might not even be an issue: machinery designed for the process by Bio-Response Solutions, the leading manufacturer in the industry, comes standard with a feature that neutralizes the pH of the fluid before it is drained. Padden further explains in an email that he voted no on the bill because of concerns with the safety of both processes and because he wants to ensure that human remains are handled with proper respect. "Our treatment of human remains is a measure of our society’s respect for the deceased. Burial has long been considered an appropriate method of delivering the body to its final resting place, in accordance with tradition, custom and faith. So is cremation when handled appropriately," Padden writes in an email via spokesman Erik Smith. "The composting or decomposition of human remains is a radical departure from these traditions. We need to carefully consider whether these practices offer the respect that is proper, and whether these practices are environmentally sound."